In the current climate, artists need to be entrepreneurs. None of the entertainment industries earn money in the ways in which they did in the past, so we need to be continually innovating, looking for alternative platforms to reach our audiences, new ways to create revenue streams. We cannot ignore the need to create more dynamic, inclusive models for business. I think that the industry is a corporate machine, and consequently, artists need to understand that they need to build their brand before they can get the buying power to scale. I’m a pragmatist, really. So whilst my creative drive is at the center of everything I do, I’m constantly working on my business model, look for more and better ways to stay agile, to grow and to reach new audiences. The point of all this, for me, is the desire to connect with people—to draw meaningful links between our collective societal experiences— and to engage in a productive, reactive conversation. If or when I feel like I lose the ability to connect or engage with the audiences I’m trying to reach, I’ll quit and transition to the solely written form, to more theatrically-focused work or to academia…This isn’t about me in the art; this is about my love of the art forms and people. The pros: it’s easier than ever to reach audiences, if you can harness the power of social media to do so. Cons: It’s hard to be heard when the market is over-saturated. in early childhood, and then began voice not long afterwards. I also became involved, around the same time, in performing / theater. My parents are also artists; so I was immersed in an artistic environment from birth! I’ve been performing for at least 20 years, 18 of them professionally. As a writer, I’ve been professional for fewer years; my first adult (non-juvenalia) theater play was staged in my first year of university; this has been a long journey of dogged dedication! I began doing trans media not long afterward. So I guess my current style or way of working has been in progress since 2005/6, although it was a performance art-music show for years before existing in the current recorded form. There’s a lot of music on the way to you! it looks at major events that form history or perceptions of the American and Canadian “imaginary”. Nation-building or state-building is deliberate and often guided by economic or militaristic motives. Many voices were removed from the mainstream narrative of history in order to create stories of nationhood. I’m attempting to write new histories that challenge these mainstream narratives; I feel like the conversation about identity needs to open. looks at the way domestic violence is addressed in popular culture and by the government, now and in the past. Having overcome domestic violence, I wanted to write a piece inspired by the history of women’s struggle for equality. It also tackles reproductive rights, capital punishment & mass incarceration. I try not to be too “on the nose” with my music, but there’s a strong undercurrent of political issues in my creative work. I’m aiming to engage in a conversation with my audience about these major social issues of our times: what can my generation do to improve quality of life? This song is written as part of my Ph.D. in Creative Writing; I played it for years as an acoustic blues folk song as part of my one woman folk musical Unplugged. I had the great pleasure of working with engineer and producer Matt Gordon and engineer Jordan Harrell of 1092 Studios, bass player Dominic John Davis, pianist Hans Zimmer & guitarist Kurt Ozan. They’re an incredible team of artists, and I thoroughly enjoyed the process of working with them. I don’t have a traditional hometown, but I was based in London for quite a few years and worked primarily in Europe up until this past year when I relocated back to North America. I’m looking forward to digging more into the North American markets; I think we have a strong history and interest in trans media, so I’m looking forward to seeing whether or not what I’m working on will interest Canadian and American markets. I’m a vintage fashion buff! I like to work with cool vintage companies and other ethical fashion companies that are advancing our attitudes about recycling and reducing waste. I’d say 85% of my wardrobe, costumes included, are vintage, and then the rest are from cool non-sweatshop brands. I’m really passionate about working with fashion brands to discuss how our consumption choices affect the environment and how consumer behavior affects workers’ quality of life. I love Rokit Vintage in London, Dye Happy Textiles and Superego Clothiers. Their clothing is superb—and so are their ethics. There are quite a few musicians and songwriters I’d love to meet, but I’d want to feel like I’d earned the right to spend time with these people. I wouldn’t want it to happen by chance, without their having an interest in meeting me. I don’t think anyone is ever discovered. I think buzz builds around work until people take notice. And if they don’t take notice, either you haven’t been lucky enough to build the capitol to generate the conversation, or the work isn’t interesting or “relevant”. I won’t bother with thinking about whether being “good” has anything to do with anything because I think taste is too subjective. I mean fashion and societal predisposition dictate taste, right? My attitude is to work until the people I admire feel I’m worthy of a conversation. My goal is not to take, but to get myself to the playing field where I’m worthy of time, space and energy from master craftspeople. I’ve been very lucky to work with some of my biggest idols. My objective is to make my work good enough to continue to be worthy of their time. I’ve also written music for a lot of people; I just want my work to speak for itself. If I’m doing my job, maybe that conversation will be an hour and maybe it’ll be on stage or in the studio. This is a tricky one! I am interested in being interesting to my audience, but I’m not concerned with being trendy (from an aesthetic perspective). A trend, like any kind of fashion, is born dead. I want to make the best work I can, and then I want my marketing to be on point. I’ve been lucky to have a certain amount of success on Top 40 radio, but I’ve not had enough funds behind me to really scale that out with big enough marketing and PR. With 1/10th of the capital of major labels, I’ve managed to reach mass audiences, which is nice: This year, hopefully, the new partners I’m working with will help me to push beyond simply reaching mass audiences to helping those audiences connect the music they’re hearing with me—it’s one thing to be heard. It’s another for the audience to be at the right place or time and be able to hear, read or see the name of the artist so they can go look them up, etc. Not trying hard enough…not turning over every stone. longevity… I admire the Bellamy Brothers so much because they’re so hard-working, and they have built such a dynamic, long and interesting career. They’re extraordinary performers! They’ve been a band for 40 years. That’s extraordinary. I’m not really proud of anything I’ve done. I worked pretty hard on the Ph.D. It was fairly challenging to earn the grants that I did for my study, so I’m grateful I managed that. I also feel lucky to have been published by Oberon Books, to have a good team, led by Kyle Tancrell—a really awesome person. I’m honored to be able to work with people I admire: Jeffrey Michael, Annabel Bates, Melina Theocharidou, Sarah Bennett, Tim O’Hara, David Singletary, Raquel Almazan….The Bellamy Brothers! I don’t know. I’d like to scale up; if people like my work, I just want to keep creating it and performing it…I want to “do no harm”, at a baseline…. 3) Exercise pretty harsh self-criticism. I don’t want to become complacent and miss out making my best work. I hope to be constantly improving. 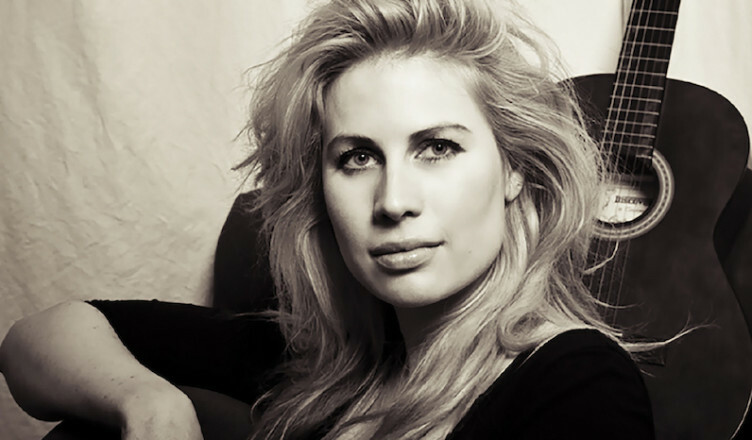 Yasmine Van Wilt is a singer-songwriter, actress, performance artist, producer and academic. A seasoned on-air radio performer, she also have extensive experience in (giving and conducting) interview for radio. She has performed her stage plays and music on stages across Europe and the U.S and is published by Oberon Books. She has been the recipient of numerous artistic grants from the European Union, was an Overseas Research Scholar, a Newcastle University International Scholar, a Soho Theatre Young Writer, a 2012 and 2015 Women’s International Playwright, a National Council Teachers of English awardee and a Disney Dreamer and Doer. She did her Ph.D. in Creative Writing at Newcastle University. Previous projects have reached #7 in the UK Music Week Charts, beating out Rihanna and Justin Bieber (2012). The associated music videos also generated consistent play on major UK music TV channels. Yasmine’s current musical project is Van Wild. 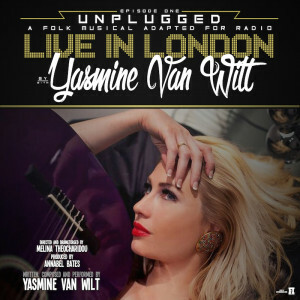 Van Wild is a Southern Blues-Folk solo project by singer-songwriter Yasmine Van Wilt. Featuring production by Matt Gordon of 1092 Studios and instrumentation by Kurt Ozan (Jana Kramer), Dominic John Davis (Jack White band, Josh Davis) and drummer Daru Jones (Jack White, Nas, Talib Kweli, Black Milk) the debut self-titled album (due to be released summer 2015) is a mix of upbeat love, social observation, and protest songs inspired by Southern landscapes and folklore. She has performed alongside Adrenaline Mob, Bumblefoot of Guns N’ Roses & The Undead. 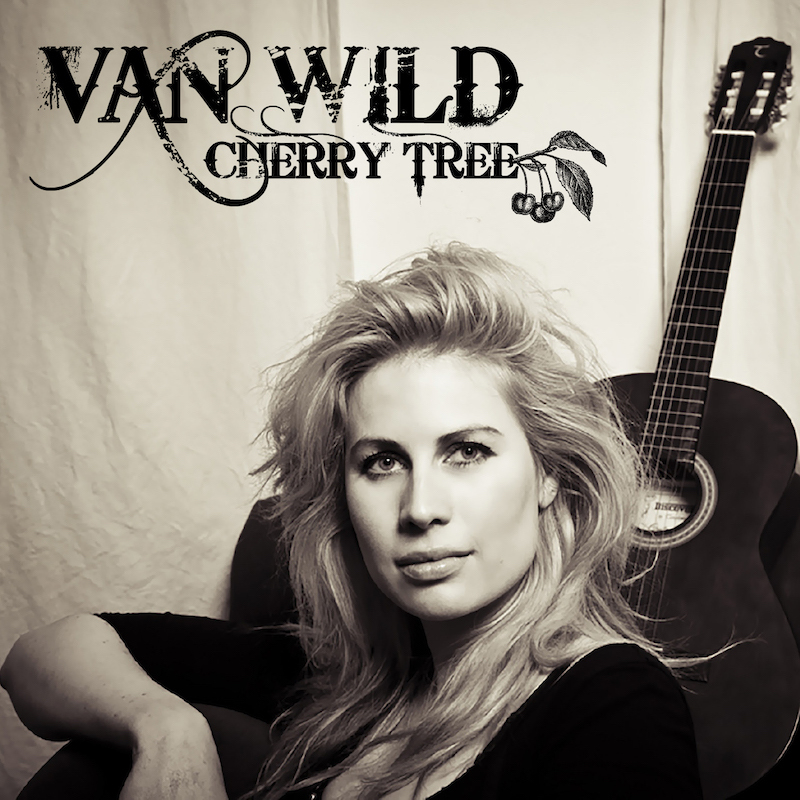 Lead single Cherry Tree” reached #26 on the MediaBase Indie Label charts (April 2015) and is on more than 150 TV stations globally (Comcast, Universal). It reached #64 on the MediaBase Activator Charts and is in the running for Top 40 Pop Song in the International Songwriting Competition’s Unsigned Only competition. It has been play listed by American Eagle, Steve Madden, The Four Seasons, Caesar’s Palace, Macy’s and numerous other stores and brands. Follow-up single “Hey Old Man” is a theme song of the bestselling H8 Society project soundtrack. Released on May 7th via Bit Torrent bundles, the project, which features art by Marvel and DC Comics illustrator Bill Sinkewiecz, garnered over 740K downloads within the first week of its release and continues to gain momentum. 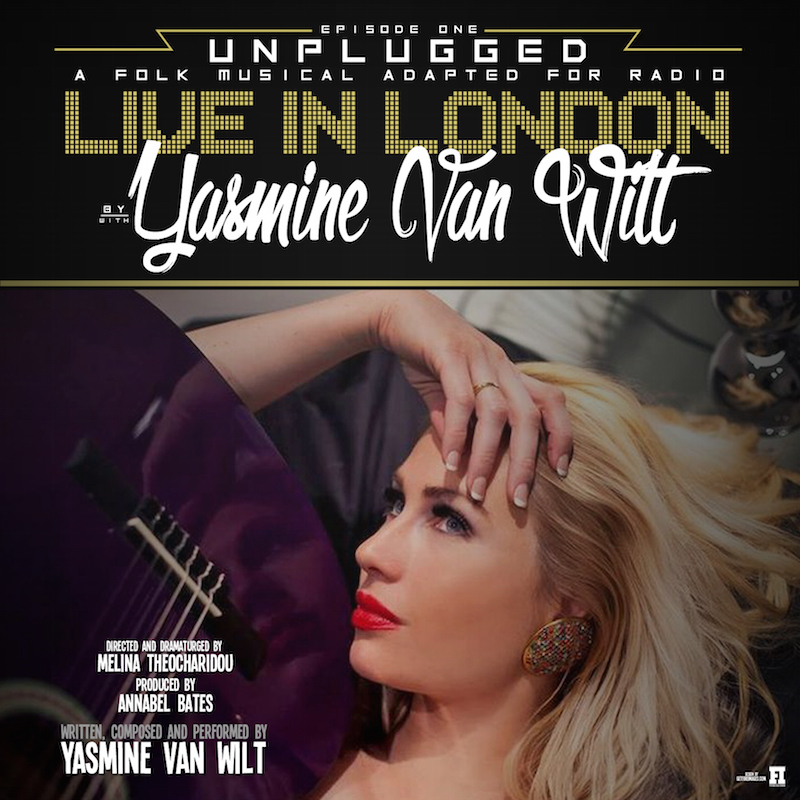 Numerous Van Wild TV, radio and live performances and recordings are forthcoming and Yasmine is presently writing and recording the follow- up album.